Join us for a scary evening at Fleet Pond. Venture for a walk full of surprises around the eerie Fleet Pond at night. Wear your scariest costume and win a prize. Suitable for children aged 7+ and they must be accompanied by an adult. Booking Essential. You can book online or phone 01252 623443 or email us on countryside@hart.gov.uk. £4 per adult and £2 per child. Payable on the day. 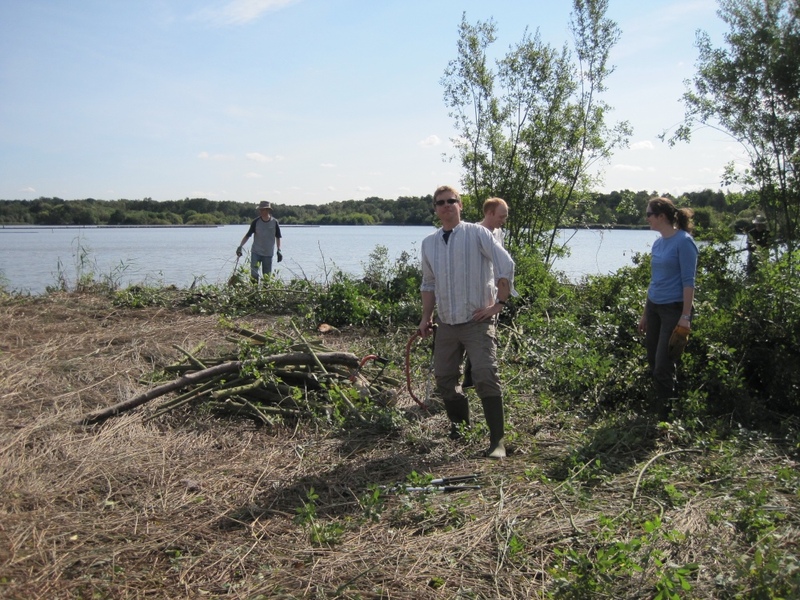 On Friday 21 September, we were lucky to have SSE visit the pond to help out with our conservation activities. 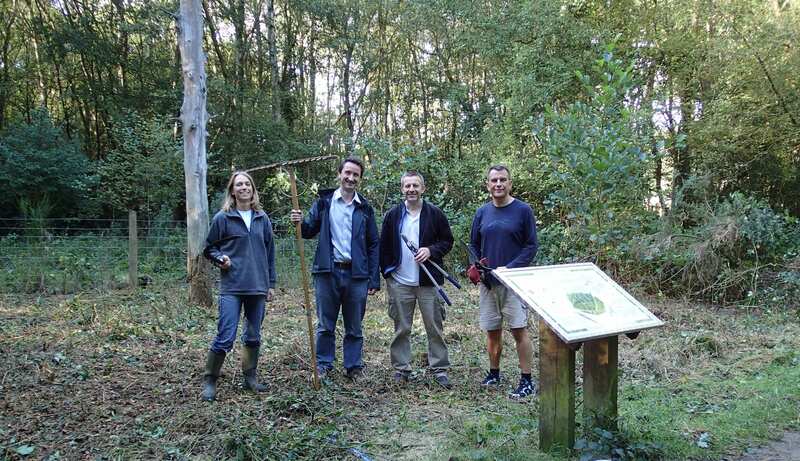 There was a large turnout (see above) and they were joined by Rachel Jones, our Seasonal Ranger, and three stalwarts of Fleet Pond Society (Terry Austin, Geoff Dee and Nick Keeley). 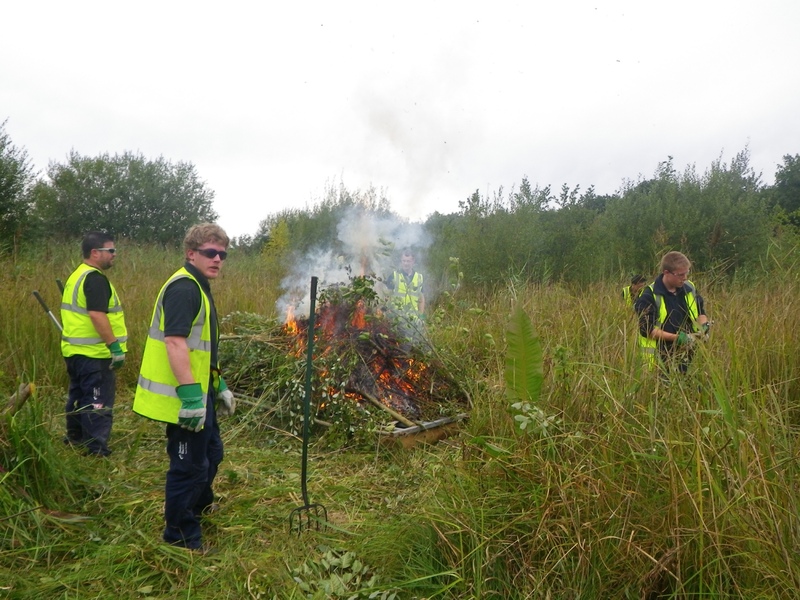 It was a full days activity and a considerable amount of scrub was removed from Coldstream Marsh, which was then burnt in an impressive fire (see below). This is important work as it changes the diversity of the area which in turn helps support rare species and their habitat. Thanks to our community volunteering project, Community at Heart, each of our 20,000 employees has the opportunity to take a day out of their typical working life to support local community projects. Final Result – Everything Neat And Tidy! Rachel Jones, our Seasonal Pond Ranger, joined a team of volunteers from Dimension Data on Friday 14th September to clear thick bramble from Coldstream Glade, to replace a board near Fuglemere and to carry out some erosion protection on the Gelvert Stream. An excellent and satisfying job for a Friday afternoon and one that visitors will appreciate! Back-Breaking Work – But It’s Got To Be Done! More photos can be found on the Dimension Data Facebook page. Dimension Data also had a volunteer event at the pond last year when the team did a really good job in renovating the footpath at the end of Westover Road that leads to Gelvert Glade. They are also very active supporters of the FPS Clearwater Campaign; as an example, see here. PS Please see this map if you are unfamiliar with any of the locations named above. 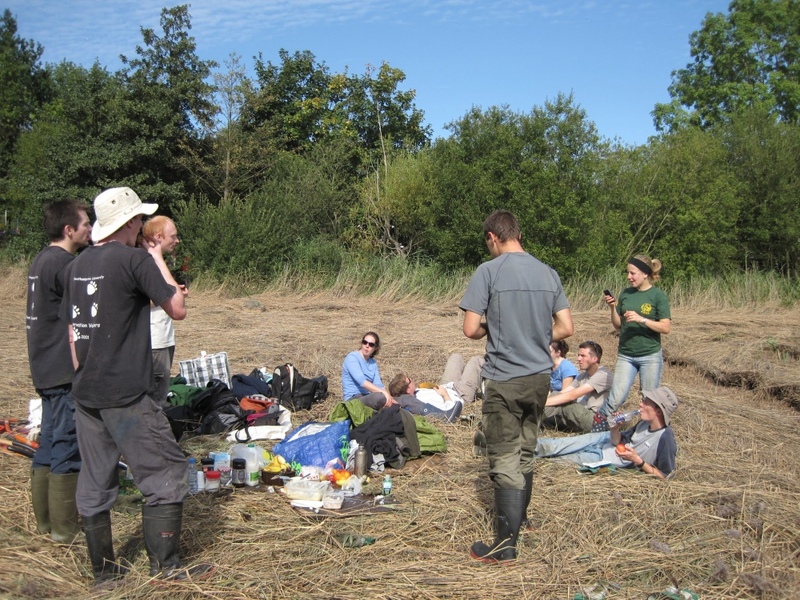 The next event for the 2012/13 season is this coming Sunday where we will either be tackling scrub at Coldstream Marsh or else cutting reed at the Northern (or Hemelite) Reedbed (the task will be decided nearer the time). Examples of previous volunteer events (including many photos) can be found by using the search facility on the rhs column of this blog. 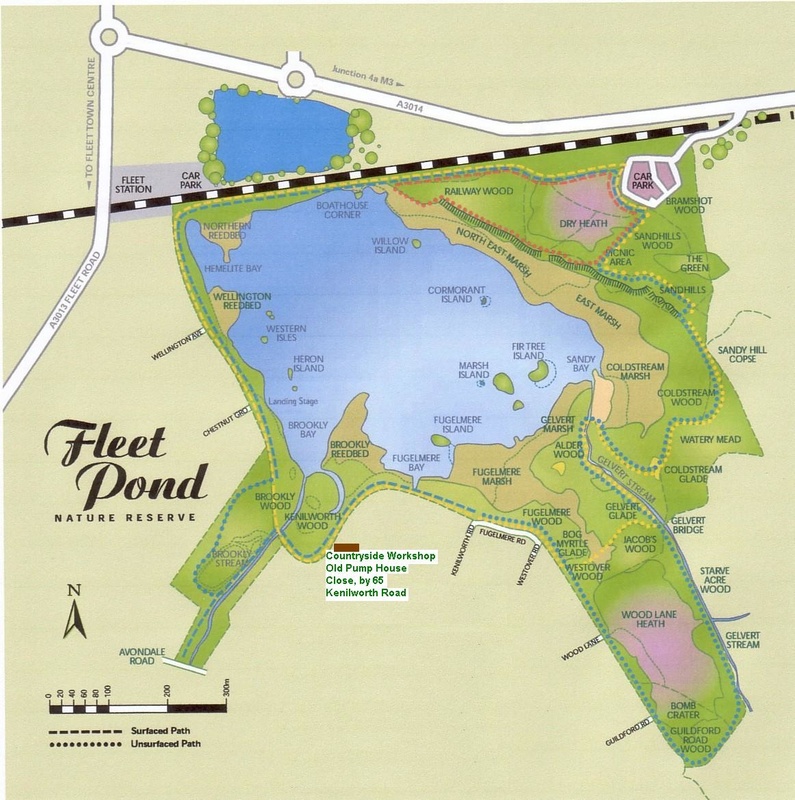 It never ceases to amaze me how wide a variety of people (and animals) benefit from and enjoy Fleet Pond! This recent clip is from YouTube and appears to feature German Shepherd Dog Rescue (GSDR), South East Region. GSDR is a organisation dedicated to the rescue, short term fostering and long-term re-homing of German Shepherd Dogs. Unwanted GSD’s are found new homes through its placement scheme which carefully matches up rescued Shepherds with their potential new owners. Owners, new and old, are provided with any support and guidance they may need. The rescue is run by a dedicated group of volunteers with a love of German Shepherds, giving their time and devotion to the welfare of this wonderful breed. We do not have our own kennels (yet) so any urgent dogs that come into our care are either fostered or have to be put into commercial boarding kennels until a new home is found. We cover the whole of the UK. 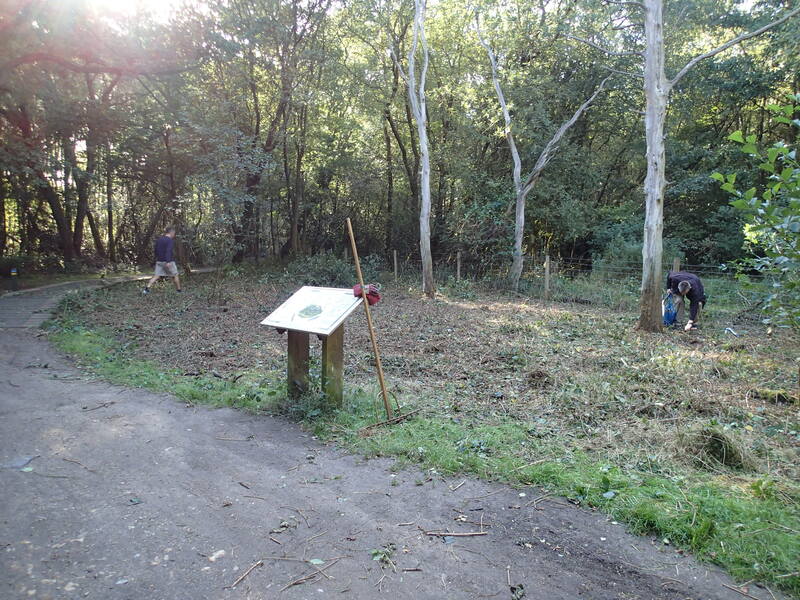 A group of volunteers who call themselves the Hedgehogs spent the weekend of 22nd & 23rd September removing a vast amount of alder and sallow scrub from one of Fleet Pond’s large reedbeds (the Northern or Hemelite Reedbed adjacent to the railway station car park). 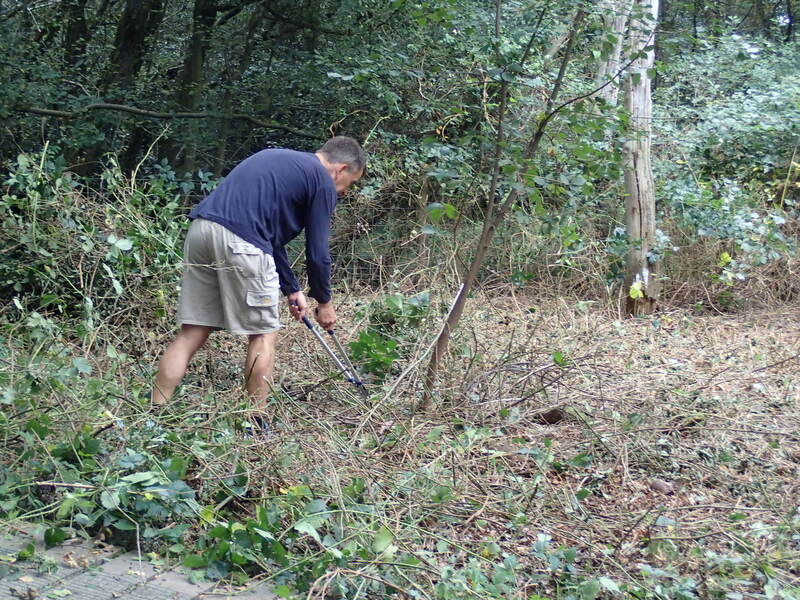 The Hedgehogs started their regular round of conservation project work while students at Southampton University. They have kept together as a team since those early days and now visit a number of wildlife sites and nature reserves during the year. They are a happy and hard working group of enthusiasts. Their shared love of the work they do can be shown by the fact that two pairs are now married and a third pair are engaged. At Fleet Pond they used to be labelled the Mudlarks for their love of ending each day as wet and muddy as possible. Colin Gray, Chairman of Fleet Pond Society, said: “We always welcome the Hedgehogs to Fleet Pond. 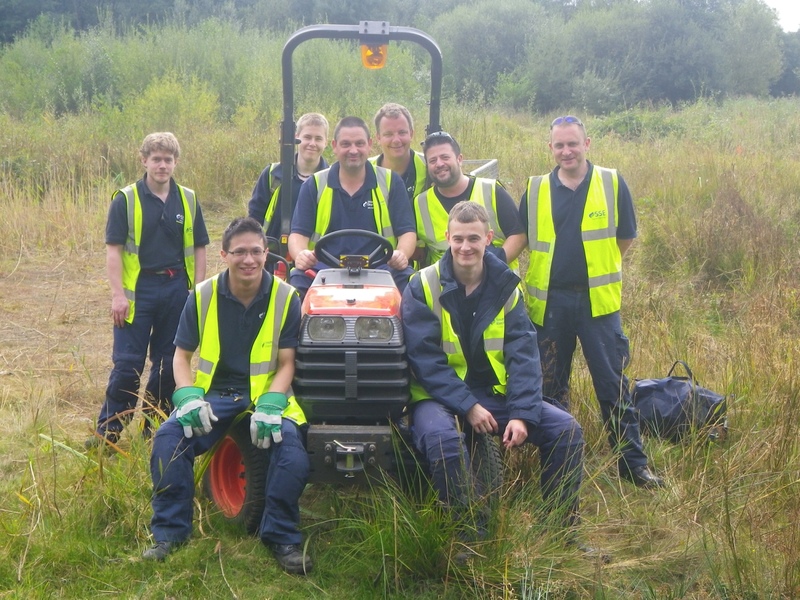 Their skills and enthusiasm mean we can put them to work in some of the more difficult and challenging areas and be sure that a good and effective job will be done”. 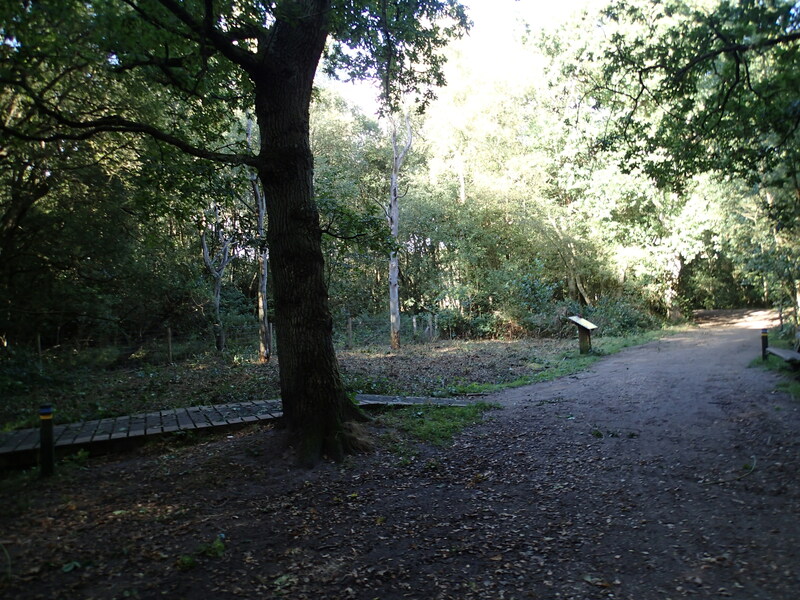 Previous posts on the Hedgehogs at Fleet Pond can be found here (2011) and here (2009). You are currently browsing the Fleet Pond Blog blog archives for October, 2012.